The Lancaster 24 in. 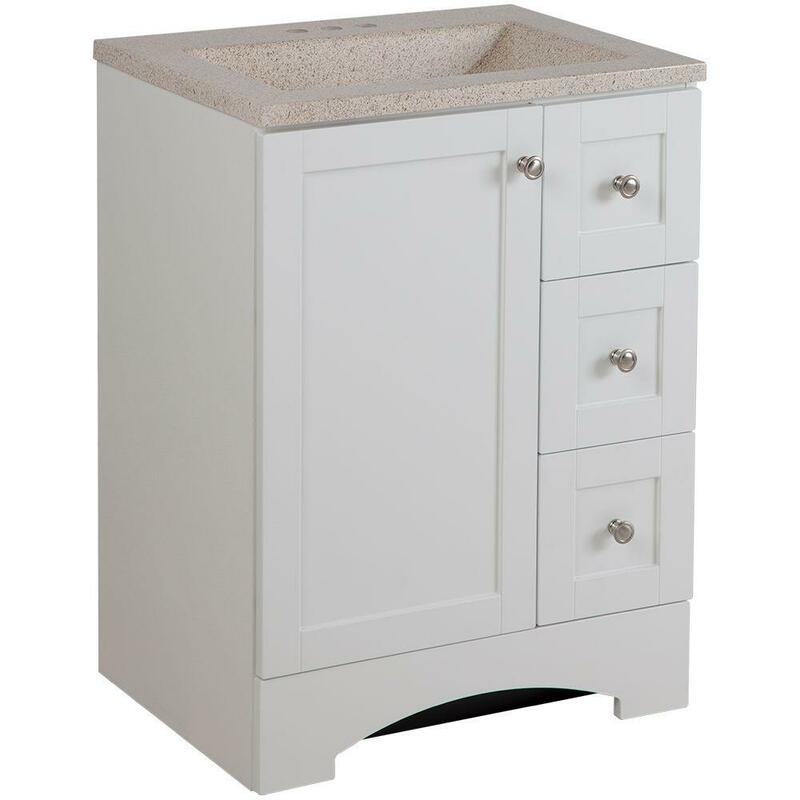 Vanity in White with Colorpoint Maui vanity top features a rectangular integrated bowl, pre-drilled for a 4 in. centerset faucet (sold separately). The large cabinet and side drawers provide you with plenty of storage space for your everyday bath items. The cabinet also features adjustable hinges, brushed nickel hardware and a decorative toe kick.